…or like a whole lot! 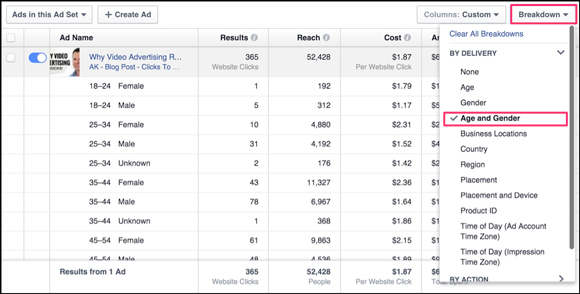 Our total ad spend for this promotion was around $6K, but today’s post will focus on our Facebook campaigns — $2.5K of the total ad spend. 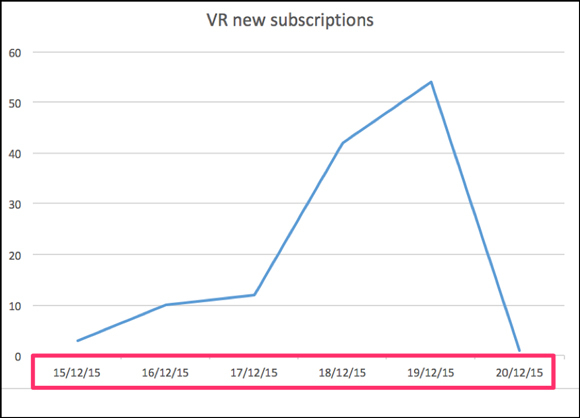 Even though we managed to get a pretty good end result of 122 new (trial) customers between December 5th and December 20th … it wasn’t without the occasional bump in the road! I’m sharing exactly how we sold 122 subscriptions, in 2 weeks, with $2,500 in ad spend on Facebook… and the 9 biggest takeaways from our experiment. But first… let’s start by looking at the details of this campaign. First things first… what did we even offer? 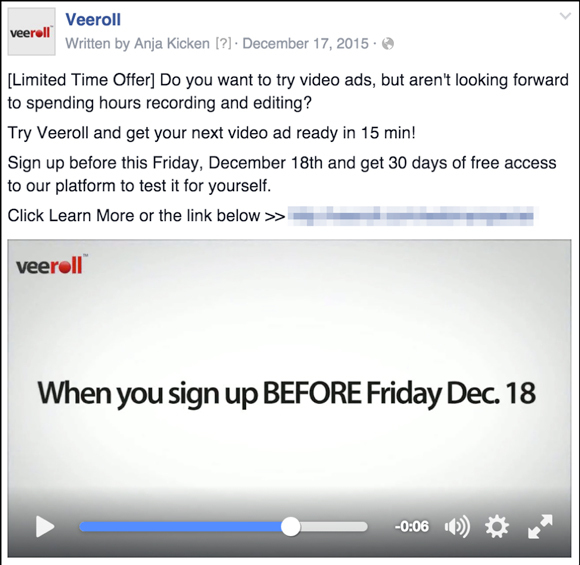 A Veeroll Pro Membership for $97 a month, with a 30 Day FREE Trial. We usually offer a 30 Money Back Guarantee instead, but this time around we wanted to give people the FULL 30 Day experience to test out all the features of our platform. We used a live webinar to show our audience the possibilities of video advertising, and to warm them up to our offer. A Clicks To Website campaign inviting people to read our blog post. 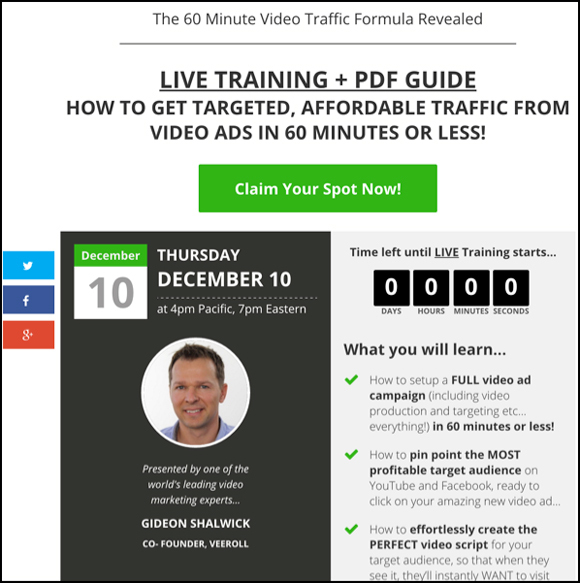 A Website Conversions campaign inviting people straight to the webinar. Interest based targeting: people who like specific pages on Facebook that are relevant to our niche. Lookalike Audiences: people who are similar to the people on our email list. Our (“warm”) blog and website visitors. …inviting people to check out our blog post. You can see the full ad in action here. …made by our co-founder Gideon, at the end of which he invited people for our webinar. with the same purpose of inviting people to (you guessed it) … the webinar! We also used video ads in a slightly unusual way…but you’ll read more about that in just a minute. I’ll show you what worked well, not so well — and what we’d do different next time. When you start spending your precious dollars on advertising, you want to make sure you know what the heck you’re doing. In other words: join a community of experts who know more than you, and learn! During the first phase of our campaign our cost per click was generally a lot higher than we had hoped and expected. We couldn’t quite figure out why until we dove into the community of Facebook Ad experts we are lucky to be apart of. Apparently Facebook had just made a change in their algorithm which resulted in a lot of people facing huge increases in cost per click (in addition to it being the “Holiday Season”). Even though the timespan was too short for us to bring that cost down, knowing what was going on helped us NOT to panic and move forward with our campaigns. Facebook makes changes to the Power Editor almost daily! Now as much as we love the constant innovation (that might be sarcasm), staying in the loop of all those changes can be quite a challenge. 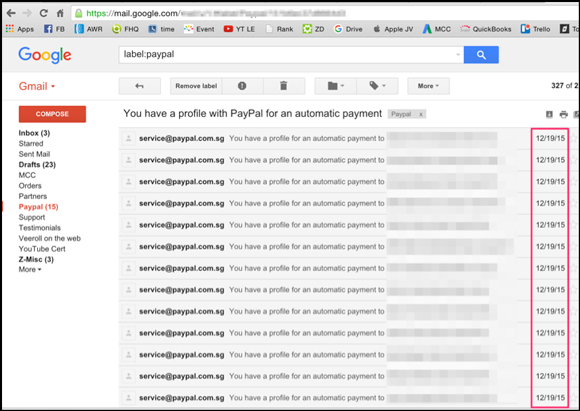 …and of course, keep your account safe. One of the best ways to do this is to join a community where you can get quick answers to any problem you encounter. 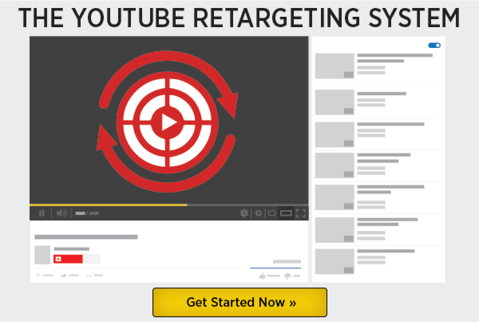 Maybe you’re thinking this is old news and you’ve already been retargeting like crazy in the past year. But, I still come across tons of entrepreneurs who are experimenting with paid traffic but aren’t aware of the power of their pixels. Don’t be like them! It’s simple. If someone has already visited your blog post or website they are much more likely to sign up for your awesome webinar, than if they’ve never heard of you before. So, we can pretty much sum up this entire lesson with one screenshot. This is a small scale sample as you can see, but it shows a pretty drastic difference in cost per lead for our cold audience vs. our warm audience of previous website visitors. Retargeting works. Do it. Don’t postpone it. 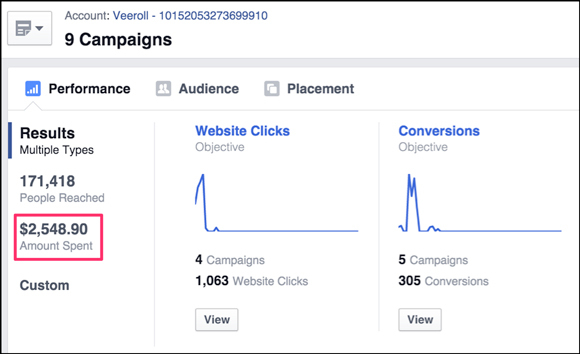 One of the quick wins when it comes to optimizing your campaigns is to dive into the Facebook Ads Manager Reporting section and look at who is and isn’t responding. 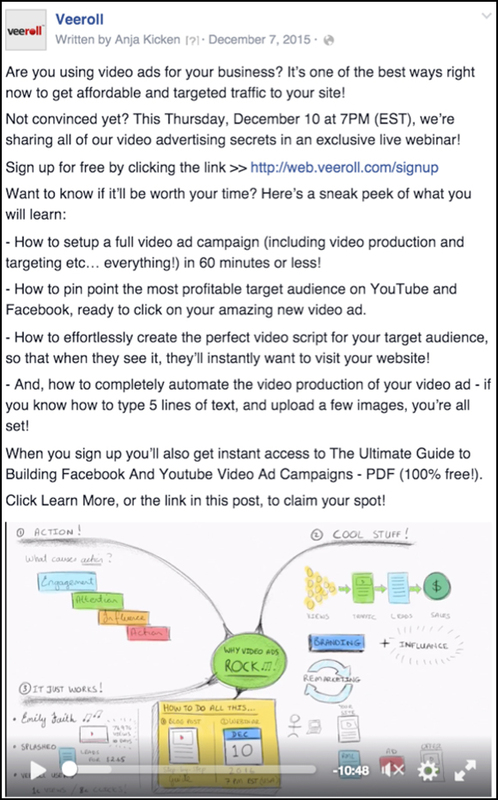 It sounds pretty obvious, but if you’re just getting started with Facebook Ads you might be overwhelmed by all the different metrics that are staring you in the face. A quick and easy way to get an overview of the types of people that are clicking, or (more importantly)…converting, is to go the column Breakdown in the Ads Manager. Or, you can check if people are responding best on Mobile or on Desktop. In our campaigns we saw trends when it came to both age, gender and placements and adjusted our targeting accordingly to lower our costs. You’ve seen the stats and statements about video, right? According to data from Simply Measured, videos are typically shared 1200% more times than links and text combined. In our campaigns we’ve noticed that very same trend. When we looked at the difference in performance between our video and image ads, it was clear that the overall post engagement for the video ads was much higher. Here you can see the engagement for our image/text ads. As you can see the budget we spent on the video ads was a little higher than for the image ads (8,6%). But, the overall post engagement for the video ads was 18 X higher! 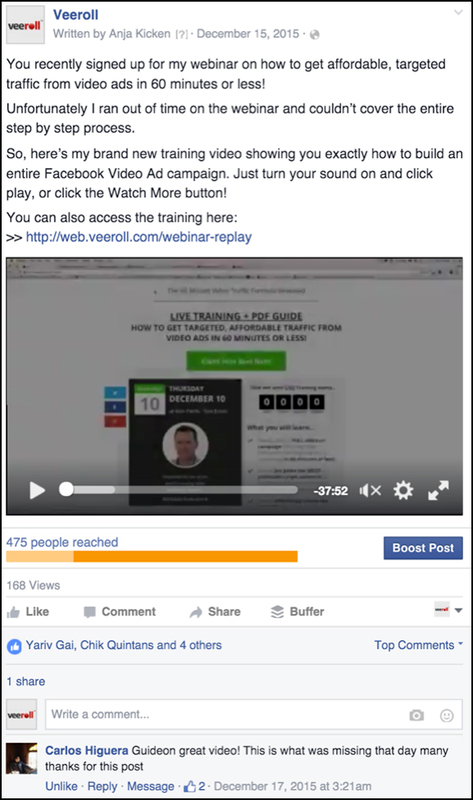 And…the video ads resulted in 3,5 X more shares than the image ads. Yep! There’s a reason why Facebook (and all other social media platforms for that matter) are so heavily invested in video for the coming years. Of course a complete paid traffic strategy should include all kinds of ad formats, but if you’re NOT including video ads….you’re missing out. As I mentioned in the beginning of the article we used video ads in a variety of different ways for this campaign, one of which was slightly unusual! During our webinar we unfortunately ran out of time and weren’t able to cover everything we promised. 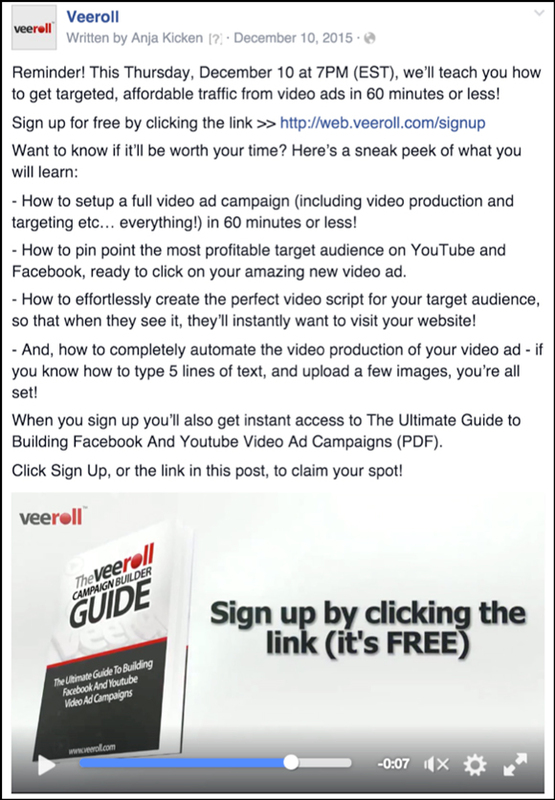 Because we didn’t want to disappoint our audience, we decided to create an additional training video and ran that as a newsfeed video ad to the people that signed up for the webinar. It was great to see that this was indeed appreciated! You could also call it a deposit in the relational equity account. Showing that you’re human by admitting to — and correcting — your mistakes can be a great way to build goodwill with your audience. And yes, you can also do this with an ad! Since I’ve mentioned that we’ve run several types of ads, you may be wondering which one performed best. Well, because of the way our campaigns were setup we cannot really analyze it as a legit split test (more on that in lesson 8), so it’s unfortunately not a straightforward answer. But, what we HAVE noticed is a huge difference in Relevance Score in “giving” vs. “getting” ads, and this again relates to relational equity. You’re probably aware of the difference between cold and warm audiences. But, one thing that is important to keep in mind is that this cold-warm-thing isn’t like an on and off switch. Once someone is in your warm audience they may be “closer” to a buying decision, but not necessarily entirely ready. It’s up to us as business owners to always keep focusing on giving value, also when you think your audience is already pretty hot! 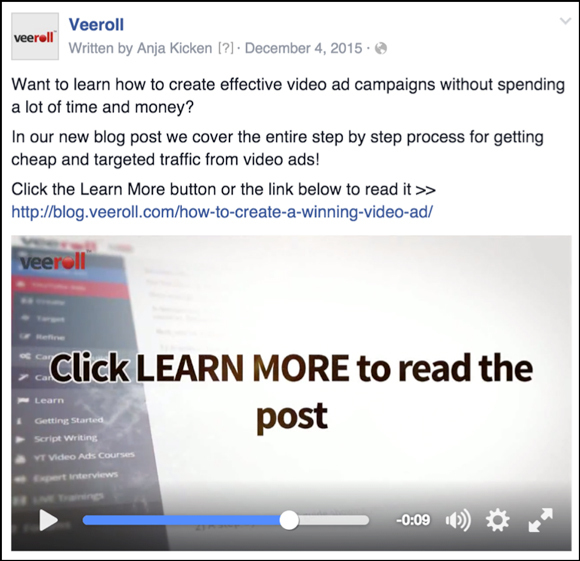 Take a look at the video ad below as an example. In this ad we advertised our free extra training video to a cold audience. This ad was purely focused on giving value. And, it got a nice high relevance score of 9. It instantly got a relevance score of 2! …Oops! We had never before gotten a score so low, definitely not when targeting a warm audience. Relevance Score is one of the most important metrics to keep an eye on when you’re advertising on Facebook. If it’s low this means that people are giving negative feedback on your ad (hiding it from their newsfeed for example) and this can negatively affect your costs and the safety of your advertising account. So, are we saying you should be hesitant in making an offer? Or that you shouldn’t run sales ads in your newsfeed? Well no, that’s not a conclusion we can draw from one simple ad that didn’t work. The point is that there are many shades of…warm! So therefore, you should keep your finger on the pulse at all times on the journey you’ve taken your audience through… and if you’re making your offer in the right place, at the right time. Maybe our warm audience wasn’t as warm as we thought it was. Have you ever wondered whether you should send out that last email reminder before the doors close? Worried that you might annoy people if you do? We almost didn’t send out our last email follow up, but…luckily we DID. Guess what…our last little email doubled our signups in one night! People often wait until the very last minute to hit that buy button, and you want to be right in front of them when they’re ready. So, the lesson here is simple…don’t forget that last reminder! When you’re spending money on advertising you want to make sure you’re not just throwing spaghetti at the wall hoping that some of it sticks. Yes, a big part of any advertising campaign is “testing” of course… but the way you setup your campaigns will make all the difference if these tests will be useful or not. A huge lesson we’ve learned during this campaign is to be way more organized and systematic in our approach next time. Even though we discussed the approach for our paid traffic campaigns several times, we still ended up tweaking a little too many things along the way when it came to both the targeting and the ads. If we had been more systematic about it (changing only 1 thing at a time, for example) it would have been easier in hindsight to analyze what worked, what didn’t…and WHY. Ok, maybe I didn’t come up with that tagline myself. But what do I mean with “just do it” in this context? NOTHING beats real life campaign experience! Our biggest lesson eventually was that even a very imperfect ad campaign can get you great results. In addition to the previous lessons I’ve discussed so far, we realized half way through our campaign that our original offer wasn’t quite right… and then we promptly changed it. Yep, that’s right. We changed our offer mid campaign! And regardless of that.. we still managed to convert 122 people during this 2 week promotion. This goes to show that even if you make a few mistakes and change things up along the way…you can STILL get a great ROI from your campaign. 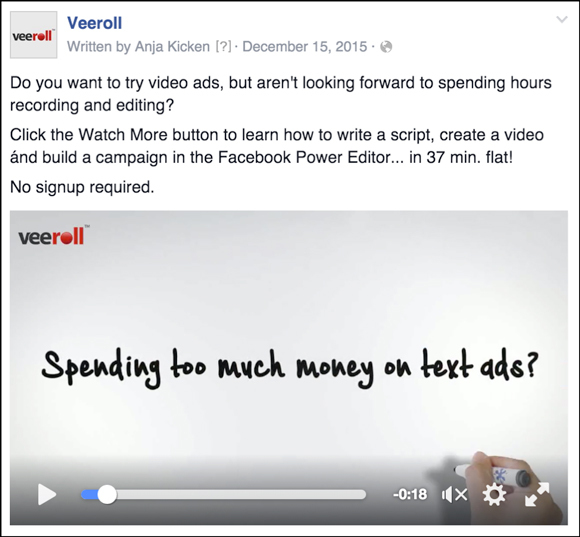 Anja Kicken is Content Manager at veeroll.com - software that allows you to quickly build effective Youtube and Facebook Video Ad Campaigns. She's passionate about marketing, technology and music. And, she's from the Netherlands, where they don't wear clogs and smoke weed as much as you might think!